Ebonie is an author, a coach, and an entrepreneur. 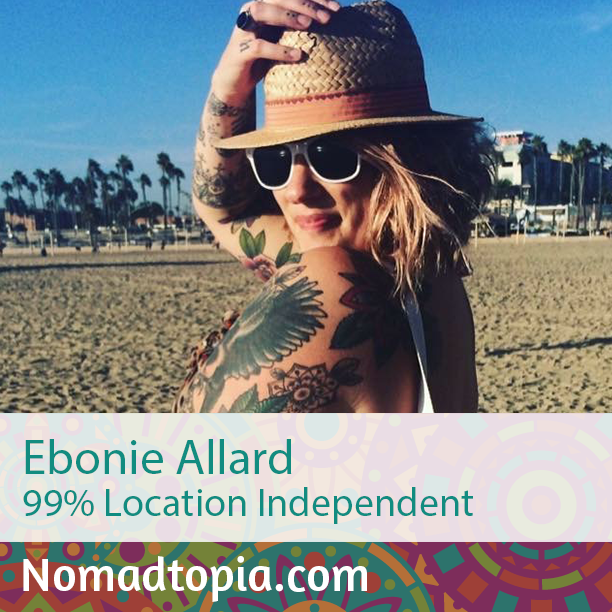 She’s currently settled in Brighton, England, but incorporates a lot of travel into her location-independent business and lifestyle. Tune in to learn about the 1% that’s not location independent and much more. Meeting my team or clients in person for the first time, often six months after meeting online or having trusted them with all sorts. That I want to stay put in one place for now. Thanks to Greenback Expat Tax Services for supporting Nomadtopia Radio! For years, Greenback has been helping Amy and lots of other nomads and expats save time and money on their taxes. Contact Greenback to see how they can help you too. Please take a minute or two to fill out this super-short survey to help us learn more about you and what you’d like to hear on Nomadtopia Radio. Thank you!